wow wow wow. Both Artisans are absolutely stunning. 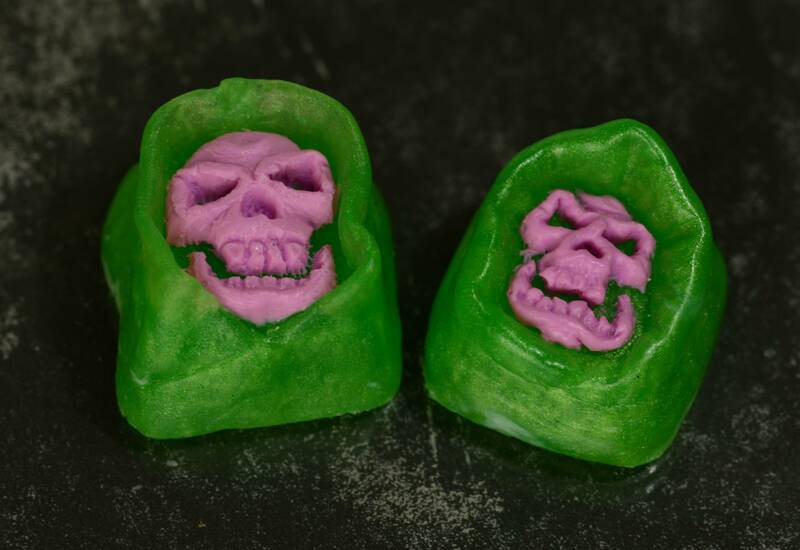 I've got ETF's Dire Violet Bomb King and a Lemon Kollapse Fugu coming in I haven't decided yet but these are absolutely beautiful as well. I really hope I can grab one of these. Ooo, those touch my tralala... Ooo my dingdingdong. Has ETF ever made anything not fantastic? 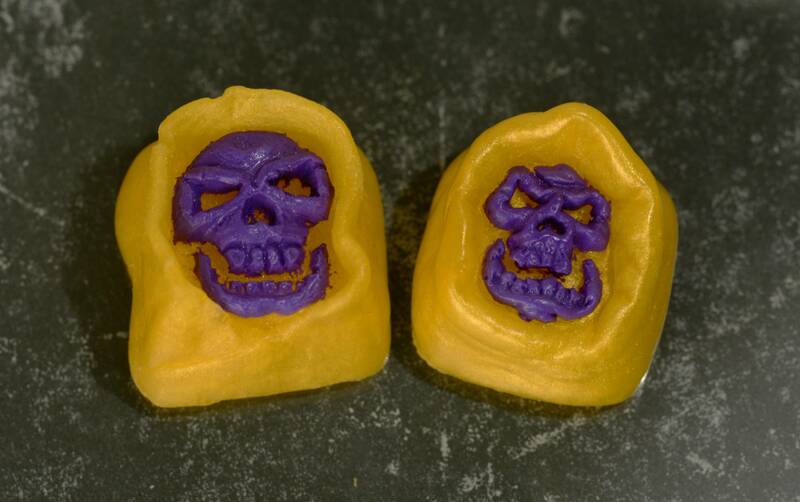 I also plan on doing some Skeletor themed caps (which may not be color matched) to go out as well. I haven't had time to do casting yet though. Casting should start this weekend and I'm still trying to see if I can get a Havoc Staff sculpt made up and done. By Grayskull, those are sweeeeet! Super excited. Need to finish building this board to match Skeletor. No idea it would come so quickly. Both artisans look incredible too. How long until these sell out once people start posting pictures and the non-buying fools are encompassed in the glory? I suppose a lot of people are currently broke due to the flooding of sets but ya know what I mean. Ugh, beautiful.. I can't wait!!! Good Golly Miss Molly! I will be spamming refresh on my email and getting my keys ready! Now we're cooking with rock 'n roll. I'm pretty sure the board this is going on will require sun screen to use safely by the time it is done. 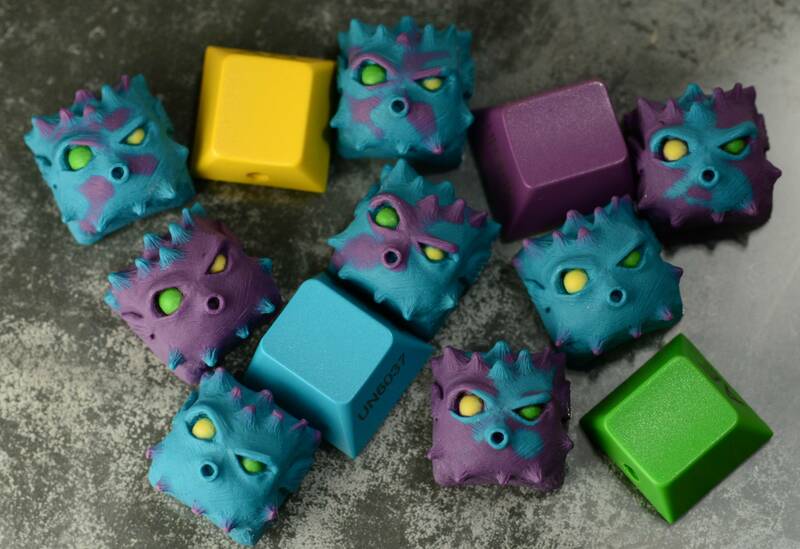 While i would love one of these or the fugu, i am happy to have a purple and green shadowstalker to go with this set. Sherry, I also purchased a red/white Esc with mine. Just want to make sure that will be coming as well. I can send a PM with my email info if necessary. 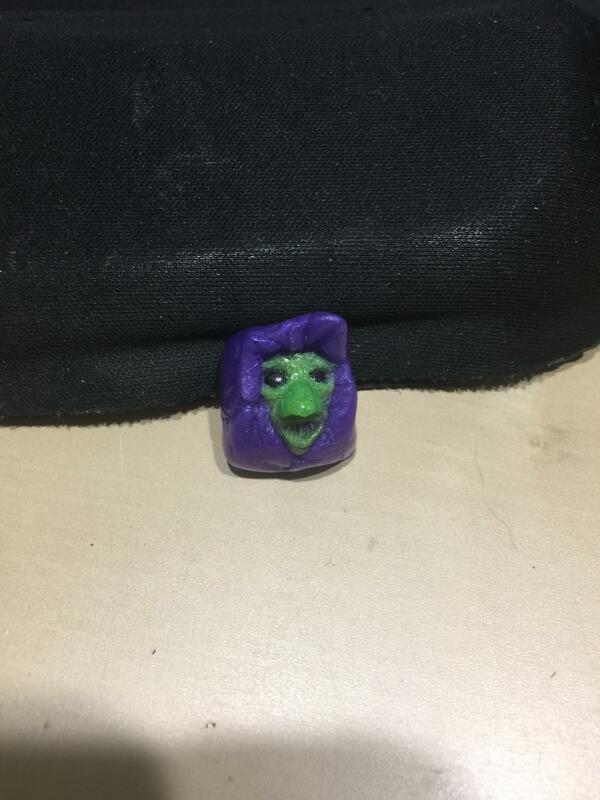 I plan on giving more details about the Nightcaps and Skeletor caps this weekend. These look great. I assume a sale shortly after shipments go out? Nope, no sale. Details will go out this weekend. 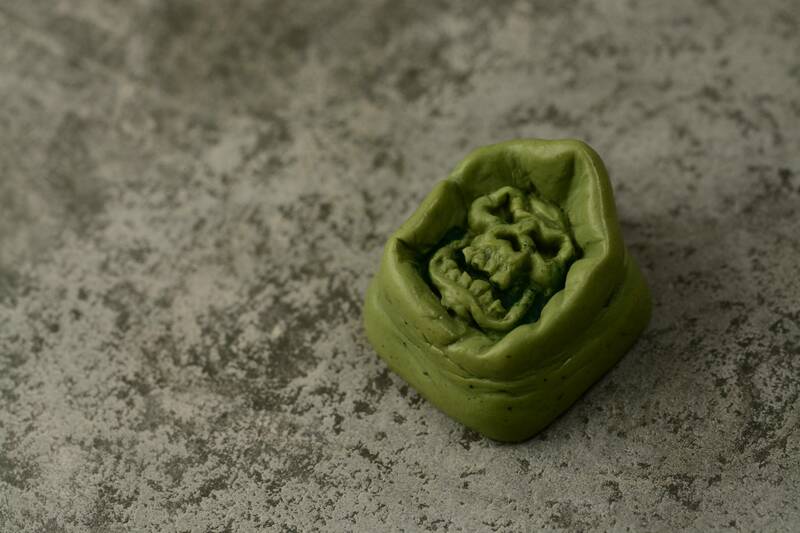 This set looks awesome, green Esc is a must. I hope there is a green Nightcap that matches this coming out. Well damn that was fast! I'll have to keep an eye out for that. So much reaffirmation for joining this GB. You guys have really nailed it. two more days! my newly constructed clueboard is ready. Got my tracking as well. Pre-shipment status so it should be shipping pretty quickly. Weird, I haven't gotten any info. I hope mine shipped out already. No worries, I appreciate all the hard work you guys are putting in. Hi sherry, I sent an email to your originative email address with a question about my order, hope you guys can help me out. Thanks! Wooo! Out for delivery.. hopefully work doesn't drag on today too much! I just got my tracking information, doesn't look actually shipped yet so I'm expecting mine next week. Can't wait! Looks like they're starting to ship. USPS info is updated and out for delivery. Woot! 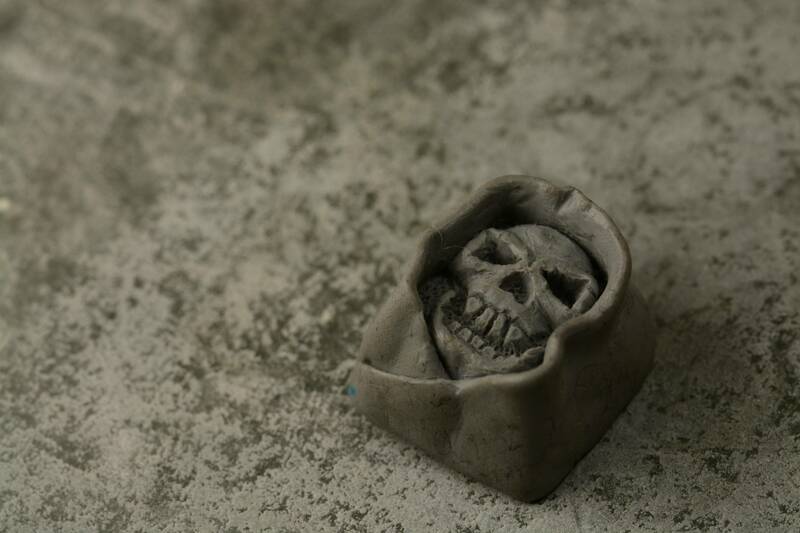 Looks like the kids get to have some more keycap fun this weekend. Now to find another board to throw Hana on. Are these being shipped out from Chicago? I got a notice from TechKeys that something shipped but I have nothing on order from them. Is that the skeletor? No. That's probably the stem for Synth. No sticker but still super happy about the set! Thanks Nubb and Originative! Edit! I found a sticker under a flap at the bottom of the box. So check your boxes carefully. No sticker :( but still super happy about the set! Thanks Nubb and Originative! 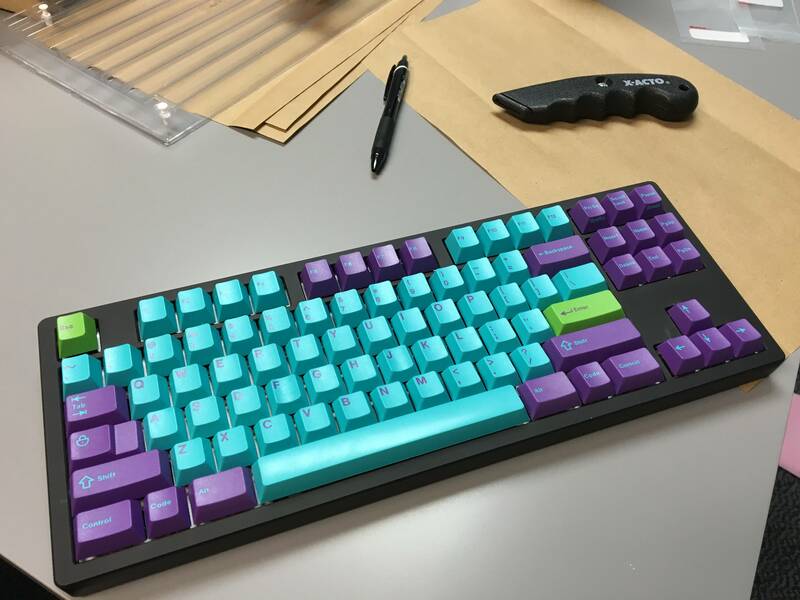 With this shipping earlier than expected, and my indecisiveness between it and Hyperfuse, you have my forced my hand and I now I am building yet another keyboard while I continue to wait for Weaven! 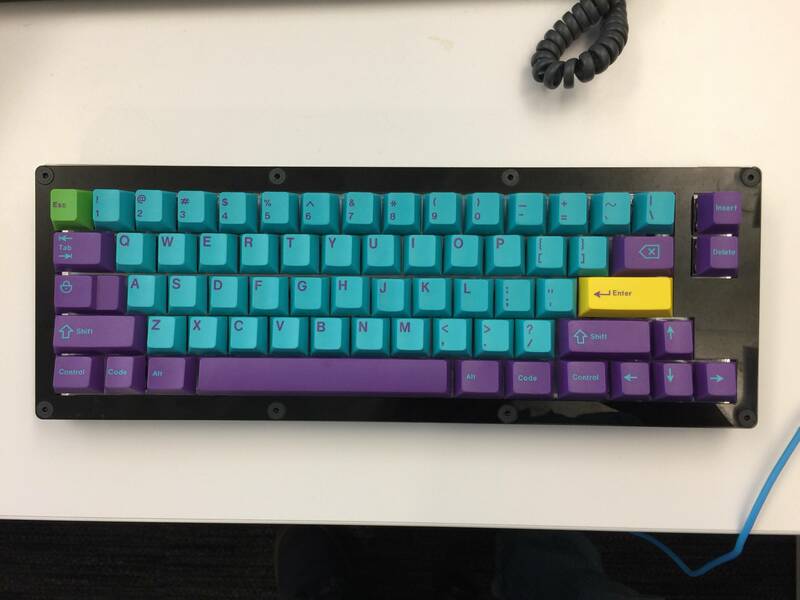 I ordered a cyan case and purple plate from Sentraq this afternoon to go with the GH60 and vintage blacks I already have - the Weaven will now be dedicated to Hyperfuse (purple shorts/stands, gunmetal longs) and I went into LeandreN's group buy for a PCB for it (already getting Zealios and Aristotles as originally planned)... don't know what I am going to do if you guys release Prenumbra (or if Nubb's Manly Unicorn set ever releases) - I only need so many boards!